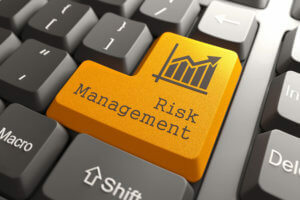 The National Bank of Ukraine (NBU) has changed the form of a report on risk management in the financial monitoring sphere, which would allow better assessing the risk management systems created by banks. According to a report on the NBU’s website, the new form of the report is outlined in NBU resolution No. 59 dated June 5, 2018, which amends the rules of organizing and holding inspections to prevent and combat money laundering, financing of terrorism, and the financing of proliferation of weapons of mass destruction approved by NBU resolution No. 197 dated June 20, 2011. The new version of the resolution also changed the frequency of submitting the reports on risk management in the field of financial monitoring – henceforth it will be provided by a bank to the NBU annually, rather than quarterly. In addition, the NBU introduced a new procedure in case of detection of schemes for conducting risky financial transactions during the on-site inspection, the conclusion on compliance or non-compliance of which with the requirements of the law cannot be presented in the report on the field inspection (without additional consultations). Henceforth, the report would contain details of the essence of the financial transactions revealed with a detailed statement of the relevant facts. The copies of documents certifying these facts are attached to the verification materials. In the future, the verification of the revealed facts will be continued without interruption. 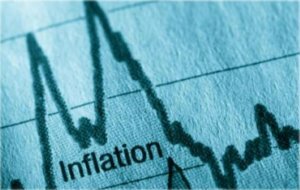 The National Bank of Ukraine (NBU) confirmed the forecast for 2018 inflation at 8.9% in April. “According to the estimates of the National Bank, the deviation of the actual inflation in April from the forecast is insignificant and can be leveled out in the following months. In addition, the monetary conditions are still tough enough to ensure a gradual decline in consumer inflation in accordance with the forecast of the National Bank (8.9% year-on-year at the end of 2018) and its return to the target range in mid-2019,” the NBU reported. According to the State Statistics Service, in April consumer inflation continued slowing down for the third consecutive month and amounted to 13.1% year-on-year (compared to 13.2% in March). Inflation in monthly terms decreased from 1.1% in March to 0.8% in April. “Although the National Bank expected inflation to decline year-on-year, its April figure slightly exceeded the forecast published in the Inflation Report for April 2018, mainly due to the influence of the most volatile components,” the National Bank said in a statement. The National Bank at the end of October last year worsened the inflation forecast for 2018 from 6% to 7.3%, in January this year to 8.9%, while the Cabinet of Ministers from 7% to 9%. 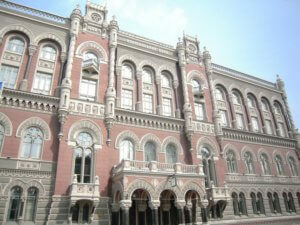 The NBU, to curb price increases, from March 2 raised the refinancing rate to 17% from 16%. Ukraine’s international reserves grew by 1.3% in April 2018 and amounted to $18.421 billion as of May 1, 2018, according to tentative data published on the website of the National Bank of Ukraine (NBU). According to the NBU, the main source of replenishment of reserves, as in the previous months, was the purchase of foreign currency in the interbank market. “The prolonged excess of the supply of foreign currency over demand in the interbank market allowed the NBU to continue buying out surplus foreign currency to build up reserves, while not counteracting the strengthening of the hryvnia exchange rate,” the central bank said. 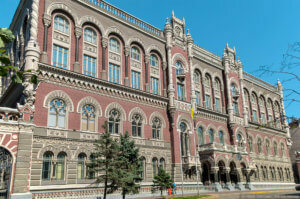 The NBU bought $326.7 million in the interbank market in April, including $146 million during interventions at the best rate, $80 million at a single rate, and $100.7 million at foreign currency auctions. The NBU recalled that in the second quarter of 2018, it intends to buy $10 million daily on the interbank foreign exchange market to replenish Ukraine’s international reserves. In addition, the central bank last month sold $24 million during interventions in the form of request for a better exchange rate. Thus, the net purchase of foreign currency amounted to $302.7 million. The level of reserves was also positively influenced by the placement of government domestic loan bonds denominated in foreign currency for a total of EUR 83.6 million. The expenditure of international reserves in April was mainly related to government payments for servicing and repayment of public and publicly guaranteed debt in foreign currency. “The amount of payments in April was $127.4 million, including $30.8 million for servicing government domestic loan bonds denominated in foreign currency,” the NBU said. In addition, the amount of reserves was influenced by the revaluation of financial instruments (change in market value, the hryvnia exchange rate against foreign currencies) for $59.2 million and other transactions for $11.3 million. In general, as of May 1, 2018, the volume of international reserves covers 3.3 months of future imports and is sufficient to fulfill Ukraine’s obligations and current operations of the government and the central bank. The share of non-performing loans (NPL) in the total volume of loans in Ukraine in March 2018 grew by 0.18 percentage points (p.p. ), to 56.38% as of April 1, 2018, according to the National Bank of Ukraine (NBU). 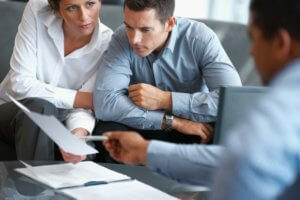 The total loan portfolio expanded by 0.4%, to UAH 1.117 trillion. The ratio of NPL and the credit portfolio of state-owned banks grew by 0.15 p.p. in a month, to 72.29%, that of foreign bank groups fell by 0.65 p.p, to 45.27%, that of banks with private capital fell by 0.04 p.p, to 24.8% and insolvent banks grew by 0.22 p.p, to 58.44%. Since the start of the year, the share of NPL has grown by 1.84% and the portfolio has expanded by 2.42%. The share of troubled assets of the banking system, taking into account off-balance sheet liabilities, was 29.67% (0.22 p.p. up). As of April 1, 2018 these assets totaled UAH 2.214 trillion (0.04% down in a month and 0.7% up since early 2018). The NBU first published statistics for NPL meeting the requirements in resolution No. 351 dated June 30, 2016 on assessment of credit risks in March 2017. The resolution says that NPL notion as close as possible to the common notion in global practice “non-performing exposures/loans” (NPE/NPL). According to the new rules, NPL are loans overdue for over 90 days (30 for banks) or it is unlikely that the debt without seizing collateral can be collected. The National Bank of Ukraine (NBU) maintains its expectation that Ukraine will attract $2 billion from the International Monetary Fund (IMF) in 2018 and predicts the next tranche will be received at the beginning of the third quarter of 2018. “As for the next tranche of a loan, we believe that this will be possible at the beginning of the third quarter. However, this is rather a technical calculation in terms of the progress of negotiations and receipt of consents at the technical level,” Deputy NBU Governor Dmytro Solohub said at a briefing in Kyiv. According to him, the NBU currently does not have any specific information about the date of the next visit of the IMF mission to Kyiv. 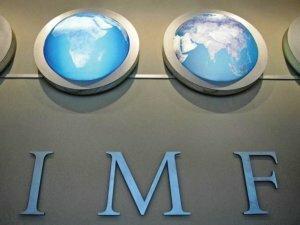 At the same time, Solohub reported that the Ukrainian delegation planned to attend the Annual and Spring Meetings of the IMF and the World Bank. “The traditional spring meetings of the IMF will be held at the end of next week, and the Ukrainian delegation will be present at them. These are not only negotiations with the [IMF] mission to discuss the [EFF] program, these are also meetings with other international organizations,” he said. The National Bank of Ukraine (NBU) intends to transfer to the national budget part of profit in the amount of UAH 34.9 billion by the end of 2018, which is UAH 15.65 billion less than provided by the law on the national budget for 2018 (UAH 50.55 billion), NBU Council Head Bohdan Danylyshyn has said. “The Council in accordance with Article 9 of the law of Ukraine on the National Bank of Ukraine has filed to the Verkhovna Rada and the Cabinet of Ministers information on part of profit for 2018 to be distributed, which is to be transferred to the national budget of Ukraine in 2019, in the amount of UAH 34.9 billion,” he wrote on Facebook. According to the NBU balance sheet, its liabilities as of January 1, 2018 amounted to UAH 817.59 billion, of which cash in circulation and funds of banks stood at UAH 401.54 billion, general and other reserves at UAH 54.71 billion, reserves for revaluation of assets and liabilities some UAH 153.69 billion. In 2017 the NBU sent UAH 44.38 billion to the national budget, another UAH 15.07 billion out of the UAH 59.45 billion profit for 2016 was used for formation of general reserves.